The new AJPM blog is a forum for professional discussion of the issues raised in the articles we publish and in selected perspective we solicit from leading authorities in prevention, public and population health. We invite you to read the posts below and join the conversation. 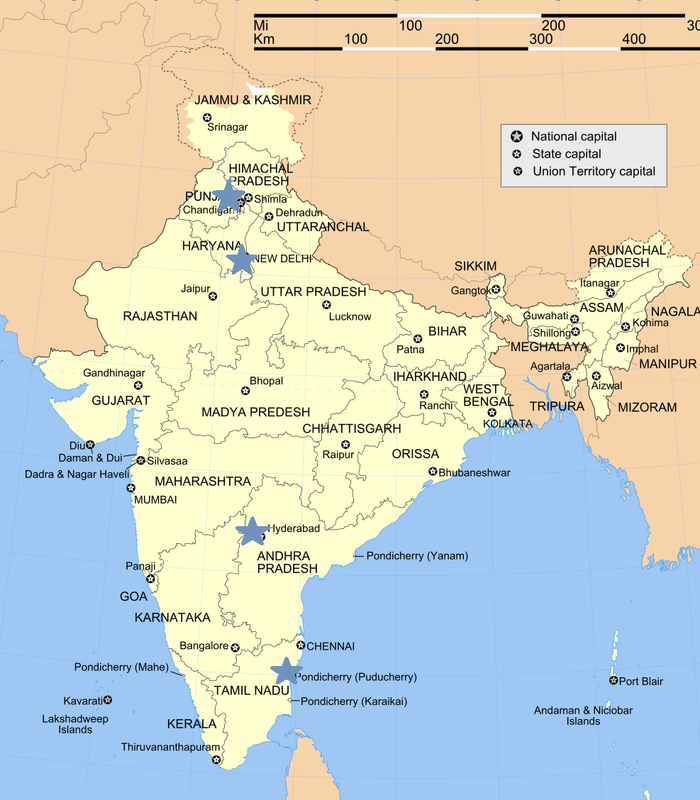 In July 2014, four University of Michigan representatives traveled to India, with the purpose of forming new relationships and research partnerships with Indian public health professionals and also strengthening an established relationship with the Public Health Foundation of India. The four travelers were Dr. Martin Philbert, dean of the School of Public Health and professor of toxicology; Dr. Matthew Boulton, editor-in-chief of the American Journal of Preventive Medicine, senior associate dean for Global Public Health, and professor of epidemiology; Dr. Rajiv Saran, professor of internal medicine and associate director of Kidney Epidemiology and Cost Center; and Brad Carlson, data manager for the International Collaborations for Infectious Disease Research and Public Health Workforce Capacity projects. 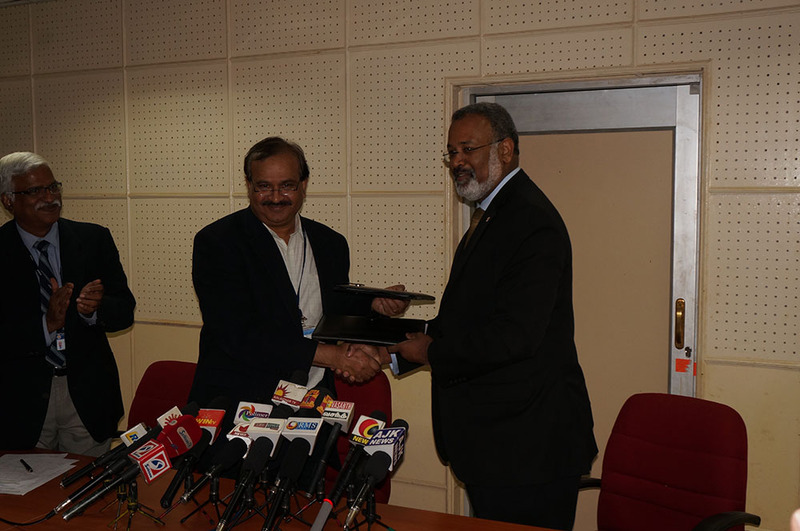 During the trip, new relationships were formed with the Postgraduate Institute of Medical Education and Research (PGIMER) in Chandigarh in northern India and the Jawaharlal Institute of Postgraduate Medical Education & Research (JIPMER) in Pondicherry in the southeast of India, and a memorandum of understanding (MOU) was signed with each institute. 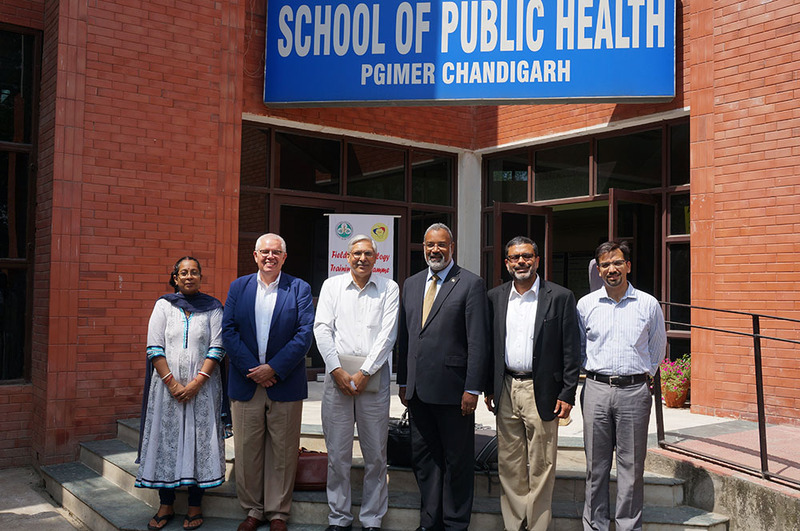 The University of Michigan faculty and staff was also able to participate in PGIMER’s founder’s day celebration and JIPMER’s Golden Jubilee during the course of their visit. 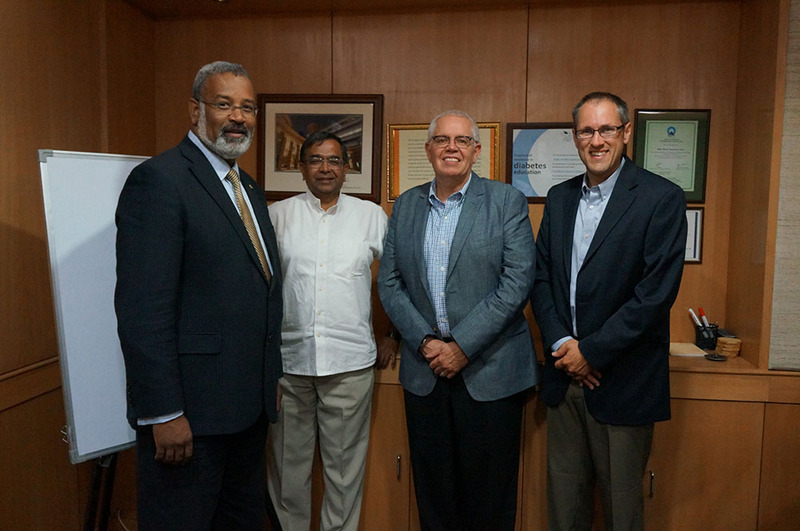 The U-M School of Public Health has an established relationship with the Public Health Foundation of India (PHFI), with a signed MOU, and a portion of the trip was devoted to developing that relationship. The group visited the Public Health Foundation of India in New Dehli and the Indian Institute of Public Health (IIPH) Dehli, where Dr. Boulton had the opportunity to give a talk to IIPH staff on immunization coverage data. Traveling south to Hyderabad, they visited the Indian Institute of Public Health Hyderabad, meeting with the director, GVS Murthy, and IIPH faculty. 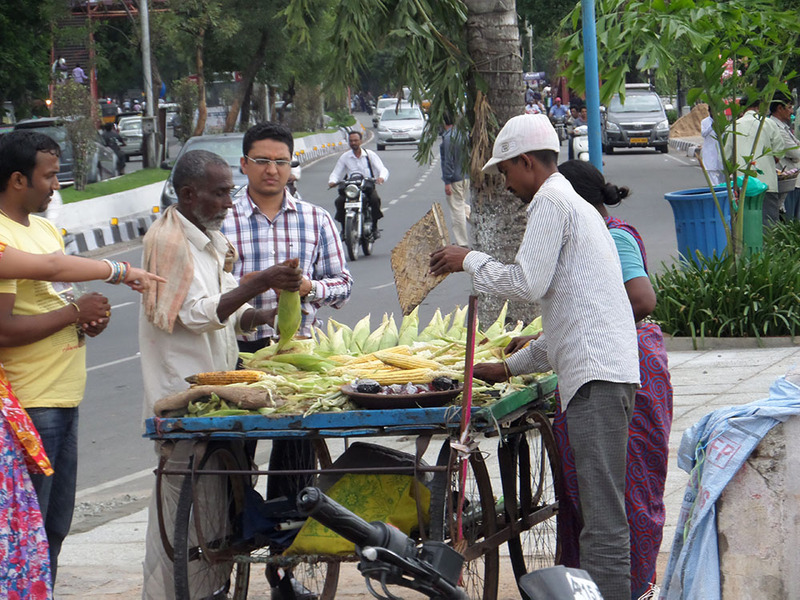 The India trip was a wonderful experience for the University of Michigan public health experts, as well as a good reminder of the challenges, beyond health issues, being faced in India on a daily basis due to a rapidly growing population. The most important part of the trip was forming relationships with Indian public health experts. Brad Carlson was most inspired by the passion of Indian physicians and other health professionals, and he stated that their dedication does not waver in spite of pressing public health issues, such as high infant mortality, and a lack of resources. With the signing of MOUs with PGIMER and JIPMER and an established relationship with PHFI, the University of Michigan School of Public Health can look forward to exciting future projects and collaborations with new colleagues in India. While it is only two months past World TB Day 2014 celebrating when the late Dr. Robert Koch discovered Mycobacterium tuberculosis on March 24, 1882, I thought it would be important to transmit a couple of TB-related ‘events.’ First, I wanted to highlight David Scales et al. research letter to the May Edition of AJPM, pointing out the importance of having county-level TB data (http://www.ajpmonline.org/article/S0749-3797(14)00082-8/fulltext). Many of us may not know that such data, i.e. the CDC’s Online Tuberculosis Information System (OTIS), only provides state-level public surveillance data because of an agreement between the CDC and the states. However, county-level information would enable those in the field to identify sub-state TB clusters, which would assist public health efforts to halt the spread of TB across counties and states. Yesterday, at the Detroit Medical Center, Dr. David Kissner, Medical Director of TB Clinical Services at the Institute of Population Health gave a wonderful talk and webinar on TB identification geared towards primary care physicians (PCPs). It was very informative and clinically profound, providing attendees with many case examples, with chest x-ray images to train the eyes of us working in primary care. Far too often, we physicians, as PCPs, miss these cases. Would it not be warranted that clinicians be alerted to TB clusters in their county or in relevant counties, rather than only non-specific state-wide alerts? Again, we realize the importance of county-level data. We should know when and how to test for TB. Those at risk of exposure to or infection with TB initially need simply a TB skin test, but it is important to note that the induration of 5 or more millimeters is what is concerning, not an erythema of even 10 mm. The redness means nothing! The radiological skill to detect TB, i.e. the mediastinal/hilar lymphadenopathy and the infiltrates with the classic lucent cavitations, are classic, easy to read, but easy to miss for the untrained and unprepared! I encourage all PMRs to attend Dr. Kissner’s webinar as well as to support efforts to make county-level data more accessible so that we can be prepared! You can register for Dr. Kissner’s webinar at http://miphtcdev.web.itd.umich.edu/trainings/tb-primary-care-find-it-recognize-it-and-know-what-do-webcast#. Preventive medicine residents from the University of Michigan Program travelled north on Thursday to Bay City, Michigan to join the largest meeting of the state’s infectious disease epidemiologists and public health staff. While the trip up there was gloomy, cold, and rainy, when we absorbed the first presentation on the impact of medical history on public health and its upstream path, it seemed only symbolic of where we started. The progress we made in sanitation, sewerage and infection control, with the infamous Great Stink from the Thames that forced London MPs to meet outside of London, to the situation we are in now, was immense. However, as the meeting went on, we realized there were many challenges that we continue to face as a nation and in Michigan, specifically. Carbapenem-Resistant Enterobacteriaceae (CRE) infections are increasing. That there is a potential threat from community spread and that the treatments available are extremely limited, with pan-resistant strains identified. 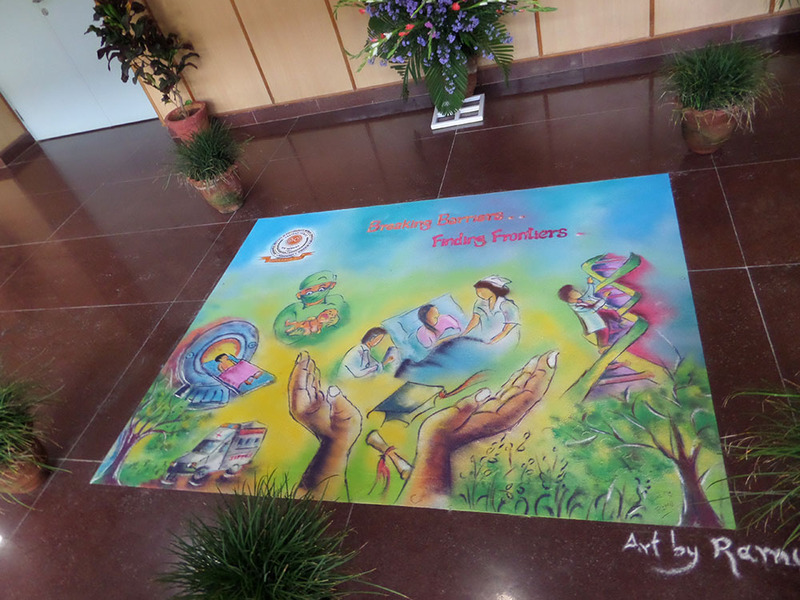 The importance of hand hygiene and contact precautions were highlighted. There was some good news with 51 cases in Michigan that were prevented. There is a Methicillin-Resistant Staphylococcus Aureaus (MRSA) and Clostridium Difficile Prevention Initiative, a collaborative between the Michigan Department of Community Health, Michigan Society for Infection Prevention & Control, and others to integrate evidence-based practice to reduce MRSA/CI in Michigan. Monthly data collection from acute care centers and skilled nursing facilities and conference calls to communicate updates between collaborators has been ongoing since 2011. There has been a Hepatitis A outbreak in several counties in Michigan, of unknown source. Patterns of hospitalizations in Michigan for influenza has been found to be similar to national patterns. High rates of undervaccination in Michigan likely related to a high number of waivers. Michigan has the 4th highest number of waivers in the nation. There was a measles outbreak in Midland County in an unvaccinated family. Hepatitis C (HCV) diagnosis and treatments are underfunded from Medicaid, not matching increasing incidence and mortality rates and future expectations from HCV infection. The number of confirmed cases in Michigan have risen more than 50% since 2004. The number of young adults (18-25 years) is rising, so it is not just a cohort effect from those who were infected in the 1960s. It is essential to incorporate measures of deduplication in HCV surveillance to ensure not counting cases more than once. All in all, this was a great opportunity to learn of our state’s public health with regards to communicable disease. Though we were left concerned with several issues, for example the withdrawal of Medicaid funding for newer HCV treatments, our outlook and awareness improved markedly on our way back, as with the weather! In the March Supplement issue of the AJPM, Heather L.M. Dacus and colleagues at the New York State Department of Health (NYSDOH) in Albany, in collaboration with the CDC, describe a successful cancer prevention program conducted in two NYS counties. Their program illustrates an important role of preventive medicine physicians in being the ambassadors of individual patient care to the population, here specifically in cancer prevention. Thus, known risk factors of cancer, such as tobacco use, poor nutrition, and sedentary lifestyle, as individual-level risk factors, are tackled at a population level for the most effective response. Isn’t this why we entered preventive medicine and public health in the first place?! We are in a unique position to implement tremendous positive change! The study focused on the effects of a “common framework” with Division of Chronic Diseases at the NYSDOH, to enhance coordination and cooperation between different programs across the Division. The NYSDOH carried out two community demonstration projects to “mobilize communities to be supportive of strategies that focus on policy, system, and environmental changes in order to reduce the risk of cancer among community residents.” Via existing (and strong) county community coalitions which consists of varied partners ranging from health care providers to local businesses, with support of the NYSDOH, each participant carried out respective roles in implementing evidence-based strategies to improve the population health of the community. Environmental change: increasing access to nutritious foods by improving food-procurement standards, with an aim to reduce obesity and, thus, contribute to cancer prevention. Systems change: eliminating formula feeding promotion in selected pediatric and obstetric offices so as to promote breast feeding. Breast feeding is linked with lower rates of childhood obesity and breast and ovarian cancer in breast-feeding mothers. Policy change: cooperating with municipalities (at least one) to improve leave policy of workers to remove obstacles to receiving timely routine cancer screening. While evaluation of the program is essential in the long-term and we look forward to the authors publishing a follow-up, the first 6 months of the project have demonstrated successful implementation of key activities in the domains enumerated above, to a great extent. NY has 106,000 cancer cases a year. While we, in Michigan, have only 53,000 (based on 2007 statistics: http://www.michigan.gov/documents/mdch/Ca_burden_MI_select_stats_1993-2011_371092_7.pdf), we also have about half the population of NY. For those of us currently doing or will be doing the rotation at the state-level (Michigan state) here, this article serves as an excellent model and resource as we evaluate our own cancer prevention/promotion approaches. As the current resident editor of the American Journal of Preventive Medicine (AJPM), it is with great pleasure that I am tasked with reigniting the official AJPM blog. The AJPM fellowship/resident editorship rotation for preventive medicine residents (PMRs) at the University of Michigan School of Public Health and the home of the AJPM editorial office has just been launched. Thus, I and the editorial team of the AJPM are beta testing this rotation! One of the experiences we will have (for the duration of the rotation, which varies) is to take a leading role in the AJPM blog, via writing weekly blog and post-blog articles. To provide a platform for PMRs all over the country to discuss their experiences in their respective residency programs. We plan to conduct additional activities to improve outreach to other PMR programs to hopefully increase resident, residency director, and resident alumni participation and contribution to the blog. Specifically, based on my own conversations with fellow PMRs, we welcome PMR-contributions discussing experiences with their rotations, particularly ones that are not necessarily program or city/state specific. Thus, national and international rotations are of great interest. Websites exist (e.g., http://www.globalmedicine.org/ GMN/residentsection.htm) that discuss potential organizations that could provide PMR rotations, but actual resident experiences in such rotations are, to my knowledge, lacking. I will certainly describe my own experience at the AJPM Fellowship rotation come the end of May. To provide a forum to network with fellow PMRs and/or preventive medicine investigators for potential research collaboration. Last but not least, to provide a platform for residents to talk about miscellaneous things related to their life as a resident in preventive medicine and/or after graduation from their program. You may send blog ideas to: ajpm-blog@umich.edu. Thank you and I welcome your responses and ideas! It’s hard to believe that Active Living Research (ALR) has passed its 10-year anniversary. What an amazing journey we have had—one enriched with people so passionate about creating places where kids and adults are better able to walk, bike, and play so that they can live longer and healthier lives. These people include the 200+ researchers who have received ALR grants, the policymakers and practitioners who shape our streets, parks, schools, and neighborhoods, and the advocates who tirelessly fight for more physical activity across the nation. Between 2001 and 2011, ALR experienced two major phases. In the first phase, ALR-1, the program built a multidisciplinary field of researchers from urban planning, education, public health, transportation, sociology, and leisure studies, among others, to study the effects of environmental factors and policies on physical activity among all Americans. In 2007, ALR’s mission shifted to focus on physical activity among children, to align with the Robert Wood Johnson Foundation’s (RWJF) then-new goal of reversing the childhood obesity epidemic by 2015. This new phase of ALR (ALR-2) focused on building a research field and evidence base to help reduce childhood obesity, and to accelerate the use of this evidence in informing policy and practice. ALR built a diverse and productive cadre of grantees representing 31 different disciplines. ALR placed a lot of value on supporting the career development of younger, up-and-coming researchers and researchers from historically underrepresented backgrounds. As a result, more than a quarter of grantees were in the early stage of their careers, and 39% of these were people of color. 30 studies focused specifically on African American, Latino, or lower-income groups, which are at highest risk of obesity. Grantees have been quite prolific and reported a total of 309 publications as of 2011, and leveraged $127 million in additional research funds from other agencies. The biggest change between ALR-1 and ALR-2 was an intentional strategy to expand and speed-up the use of research in informing policy. ALR published a total of 20 research briefs and syntheses on schools, parks and recreation, transportation, disparities, and the economic benefits of walkable communities. A revamped more user-friendly website, a bi-monthly e-newsletter, the Move! Blog, webinars, Facebook and Twitter pages, and research translation grants greatly increased the amount and frequency of evidence distributed. Grantees have been very active in sharing their research with policymakers, advocates, and practitioners, with 41% of grantees reporting communication with an end-user during 2010. Across the 10 years, there were 62 cases of evidence informing policy or practice, with 50% of these resulting in an actual policy or practice change, mainly at the local level. The program itself also made some significant policy impacts, such as helping shape the National Physical Activity Plan, and supporting initiatives in California and Virginia to mandate minimum minutes of physical activity in schools. It’s almost 2015, RWJF’s target date for reversing childhood obesity. ALR is honored to have helped move the country toward this goal. But much work remains to be done, so we ask you to help us continue communicating the best state-of-the-science strategies for reducing childhood obesity as broadly as possible. Debbie Lou, PhD, (dlou@ucsd.edu) is the Program Analyst with Active Living Research, where she translates and disseminates evidence on how policies and environments can promote physical activity. Debbie has a background in sociology with a focus on social justice issues. Social dilemmas are situations where collective interests are at odds with private ones. Neurobiology, culture, trust and social value orientation are among the factors that can influence how cooperatively people behave in social dilemma circumstances. Social value orientation (SVO) is rooted in social psychology and is defined as a person’s preference about how to allocate resources between himself and others. It corresponds to how much weight a person attaches to the welfare of others in relation to one’s own. The general concept underlying SVO is inherently interdisciplinary, and has been studied under different names in a variety of scientific fields. According to Professor Paul van Lange, when people seek to maximize their gains, they are said to be proself. but when they are also concerned with other’s gains and losses, they are said to be prosocial. People with a prosocial orientation aim for joint outcomes and equality in outcomes, and tend to cooperate in social dilemmas. People classified as individualistic, however, primarily pursue their self-interest and try to maximize their own (absolute) outcome. People with a competitive tendency, like individualists, try to maximize their own outcomes, but they also seek to minimize the outcomes for others. They want to achieve relative advantage over others. Social value orientation is associated with fundamental characteristics such as people’s political orientation, their attitude toward procedural justice, and how “socially mindful” they are in their behavior toward others. About 50%­–60% of people have a prosocial orientation, 20%–30% are individualists, and only 10%–15% are competitors. Competitors, however, receive vastly disproportionate prominence and attention, especially in countries such as the United States, where competitive metrics are the norm in business and entertainment. Antisocial personality disorder, also called dissocial personality disorder, is a condition in which a person’s ways of thinking, perceiving situations and relating to others are dysfunctional. It results in a pervasive pattern of disregard for others and may include an impoverished moral sense or conscience. Marked readiness to blame others or to offer plausible rationalizations for the behavior that has brought the person into conflict with society. A legal fiction is a fact assumed or created by courts, which is then used to apply a rule that was not necessarily designed to be used in that way. A common example is a corporation, which is regarded in many jurisdictions as a “person.” Corporate personhood is the legal concept that a corporation may be recognized as an individual in the eyes of the law. The term “fiduciary” refers to a relationship in which one person has a responsibility of care for the assets or rights of another person. In a corporation, the board of directors, as a body, has a fiduciary responsibility for the decisions they make with regard to corporate assets and the rights of stockholders. The directors must always act in good faith, use their best judgment, and do their utmost to promote the corporation’s interests. When we apply the legal fiction of corporate personhood, the exclusive focus on the interests of the corporation is obviously a proself orientation, and specifically a competitive orientation. With a capital C, that rhymes with T, and that spells Trouble. In economics, an externality is a cost or benefit, which affects a party who did not choose to incur that cost or benefit. Air pollution is a readily understood example. When car owners use roads, they impose congestion costs on others, with negative externalities that include pollution, noise, carbon emissions, and traffic accidents. High healthcare costs and decreased productivity are just some of the negative externalities of the obesity epidemic. Excessive antibiotic use contributes to antibiotic resistance, thus reducing the future effectiveness of the drugs for everyone. And pharmaceutical company drug pricing policies and their focus on variations to existing drugs rather than new drugs for today’s health challenges result in externalities of disease burden and high mortality rates. The commons dilemma is a specific class of social dilemma in which people’s short-term selfish interests are at odds with long-term group interests and the common good. How can it be mitigated? Nobel prize winning economist Amartya Sen declares that market decisions will not account for externalities unless the decisions are forced on them by regulation, or unless they are influenced by taxes and subsidies and other added incentives of public finance. (Sen holds little hope for “huge changes in human mentality that make people think about the lives of others even when their own lives are not endangered.”) This implies that market decisions on public health will be continue to be based on completely wrong indications of the real costs and benefits. A recent paper on school food in Mexico is illustrative. In Mexico, schools have long been promoting the sale of unhealthy foods, and researchers studied stakeholders’ perspectives on proposed regulations that would address the situation. They got input from academics, parents, citizens, health professionals, and the food industry. For academics, citizens and health professionals, the primary issue is obesity, while for parents it is the health of children. The food industry did not contest the claim that the foods were unhealthy, but opposed regulation because it would cost income and jobs. They demanded policies aimed at families that included nutrition education and physical activity. The food industry also rejected the narratives and perspective of other stakeholders—improve the food environment and share responsibility—espousing instead the standard narrative of personal responsibility. In this example, the collective “person” of the food industry exhibits textbook dissocial personality disorder. When corporate interests conflict with social or collective interests, the corporate entity often displays a “gross and persistent attitude of irresponsibility and disregard for social norms, rules, and obligations.” It professes to have no choice under fiduciary responsibility, claiming to be structured to ignore other constituencies such as customers, the economy of the state, the region, and the nation, or to accommodate community and societal considerations. Coordinated change among consumers and business is vital to make progress toward a healthy and sustainable life. Government must drive progress by taking a leadership role in setting out long-term policies that unite health, environment and economic goals. We deserve nothing less. This is my final blog for AJPM. I have enjoyed sharing my thoughts with you over the past year, and I hope they stimulated your thinking and talking about health. Thank you for reading. Stay well. What Can Digital Disease Detection Learn from (an External Revision to) Google Flu Trends? AJPM’s Editorial Offices are now located at the University of Michigan School of Public Health. Meet the new editorial team here. Please note that all correspondence to AJPM should be sent to ajpm@umich.edu. AJPM has released new formatting guidelines and reporting requirements for authors preparing to submit manuscripts. Please see our new manual for authors. 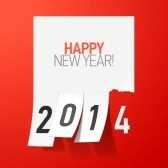 All manuscripts submitted starting January 1, 2014 will be required to follow the new submission guidelines. An in-press article titled Regular Fish Consumption and Age-Related Brain Gray Matter Loss, by Cyrus A. Raji and colleagues was featured online at TIME, The Atlantic, and the health blog of the New York Times. An in press article, Reducing Childhood Obesity through U.S. Federal Policy, authored by Alyson H. Kristensen, et al. was featured in CBS News.